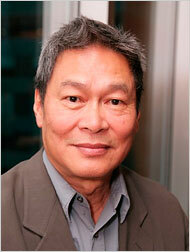 GC Immigration Working Group: Peter Kwong, Ph.D.
Peter Kwong is Professor of Asian American Studies and Urban Affairs and Planning at Hunter College. He is also Professor of Sociology at the Graduate Center of the City University of New York. His major works focus on Chinese Americans and on modern Chinese politics. Professor Kwong sits on the Board of Directors of several organizations including Downtown Community TV; Manhattan Neighborhood Network; International Center for Migration, Ethnicity and Citizenship; The New Press, and is a member of the Board of Trustees of New York Foundation. He is the recipient of a CINE Golden Eagle Award for co-producing a PBS program on immigration, and a Presidential Award for Excellence in Scholarship from Hunter College. Kwong is a regular contributor to The Nation.